Your first "I learned something from that" story? What on earth was somebody with 18 1/2 hrs doing in a Olympia 463?! I wasn't allowed anywhere near one till I had over 200hrs P1. When I bought my first glider, an Oly2b, with about 50 hrs P1, I had to elect an instructor with a Silver C to my 'syndicate' to get insurance. No 'senior pilot', no insurance. The 463 as a type seems to have had a lot of crashes over the years. Mind you, if low hours pilots are allowed to fly what is quite a tricky plane, maybe that's the reason. I can confirm that the crash of my old 463 only killed the tug pilot. The club CFI who was aboard the 463 was fairly badly hurt by landing in a tree but he lived to tell the tale. hear a transmission: "G-ABCD, Cessna 172, 3000' 2 miles south of Borton"
CFI to Student: "What do you know from that message"
Student: "Well the Cessna is 1000' above and about a mile away from us"
CFI: "Nope, what you know is that their radio is capable of transmitting, and they are currently within range of our receiver"
Goodwood to Lydd, 2500ft. Qualifying cross country, this was the second leg. I’d stayed north of the downs, Shoreham had a display on. I’d been in touch with them. All very informative and exciting too. “Two Spitfires transiting in front of you, to Gatwick”. All the while I’m dutifully logging every five or so minutes. Which means head down. Maye 10 or 15 nm from Lydd, scribbling another entry on the knee pad, “****”. 90 degrees and on a perfect collision path but for maybe 100ft vertical, a Cessna is making a very very big shape in the windscreen. It was so last minute, I barely had a blink and it was gone. The learning was about looking out, above and beyond studiously filling out a flight log. Where I was, nav confirmation was nearly redundant. Sea to the right, land to the left. Along with some common sense VRPs confirmed, why write a five minute by minute diary? In some ways I wanted to blame that, the training requirement. But I did learn... stuff the paper procedure if it gets in the way of awareness. Warm Saturday afternoon in August 1966 at Meir (Near Stoke on Trent) home of the Staffordshire Gliding Club. I arrived at the club and rigged my Oly 2B with the intention of checking out a new electric variometer - state of the art in those days. I took off by winch at around 2pm. Conditions were not all that promising I thought we were having an inversion and the thermals if any were very blue. However I did find some lift and proceeded to check out the new vario, gaining several thousand feet without really noticing in the process. The cloudbase was quite high so I felt a visit to it was in order and by the time I got there I was airborne for 2hr 30 mins beating my previous best endurance. I was also at 4500ft (not high enough to claim Silver height. I realised that a longer flight was possible as conditions were now excellent - lots of lovely Cu. I motored on and when I reached 4hrs it dawned on me that Silver endurance (5hrs) was possibly on. However I was scantily clad, and getting cold, and had brought no water and was getting very thirsty. The lift began to die at this point but I managed to scratch away at 2000ft for what seemed like an age and the 5hrs came up. This was when I could not remember the exact time I had released the cable. So I carried on for a bit getting lower and lower, till eventually I had to give up and land. In actual fact I had done 5hr 10mins, confirmed by my barograph trace (should have mentioned I was checking a new one of those as well). Five hours at Meir had never been done before - like the four minute mile it was believed to be impossible. Most folk at our club went to the Mynd and cruised up and down the ridge to do it. Needless to say the dam burst and several other pilots managed it that year. I was in the dog house when I got home, as we were bidden to dinner that night with friends, at 7pm, and were now an hour late!! It taught me that one should always be ready to be airborne for a longer time than one might expect, and thereafter I carried water and chocolate on good soaring days. Last edited by Olympia463; 11th Mar 2019 at 16:32. Back in 1991 or so I was converting from helos to a f/w licence affter a brief spell in the military and time on the N Sea and elsewhere - where Instructors were Gods and everything was done properly and punctiliously. Out of Lydd in a Seneca to do the twin rating at Le Touquet over two days with a nightstop there. This avoided VAT which was quite significant. We started the circuits on Saturday afternoon and the cloudbase got lower and lower. And lower. Eventually we were scudrunning at 300ft downwind barely in sight of the field and I was getting very uncomfortable indeed though the FI seemed quite happy. I certainly wasn't but as a Professional pilot I knew better (!) than to question an instructor. By the time we'd flown past the church steeple top I gathered the courage to announce that we were binning it on this one as it wasn't safe to continue. The instructor ridiculed me and asked how the hell I thought we were going to fly the remaining six hours off the following day if we stopped now. Feeling very hot behind the ears and cross that as a stude I'd been forced into such a position I dug my heels in and back to the hotel we went. The FI had a sulky evening. Next morning we got to the airfield bright and early for a monumental day's flying in bright sunshine. I started the first engine and was about to start the second when I realised the scenery was passing by in the windscreen! We were pirouetting slowly and the instructor seemed unphased. I stomped on the brakes. Well, I didn't, I stomped on the pedals and the pedals stomped on the floor. Faaak! No brakes! I pumped them, they just held. Not to worry, said Mr Skygod FI, we're only doing touch and goes, we don't need brakes...! My mind slowly boggled. Is this really how civvy fixed wing operates? Mixture to cutoff, mags off. Pump brakes and try to trap a bit of pressure with the parking brake. FI went nuts. We haven't time for this! Orrocks we haven't said I. Lets check the fluid. (He'd 'done' the preflight) Natch the reservoir was empty and there was no evident spillage. He became too shy to describe the level when he'd done the preflight or explain where all the fluid had gone in the intervening five minutes. The brake fluid had been all but gone long long before I set foot in that scabby old Seneca, clearly no one ever checked brake fluid at that school. After a very bad tempered hour we finally found someone to open the line shack and rummage out some hydraulic fluid but it was Mobil, not Shell. Where are the equivalence tables I asked the FI. He didn't have a scooby what I was talking about. I wasn't familiar with the documentation carried but soon found the correct table and explained to the disbelieving FI that such and such Mobil was a direct equivalent of the one in the flight manual. He had never heard of this facility apparently! We topped up but still next to no brakes - they evidently needed bleeding. Well, now that's all over we'd better get on with what's left of the day's flying he said, triumphantly. Correct, said I. But first call your office and thell them to have the other Seneca fueled and ready at Lydd in 45 minutes time. The look on his face was a picture. You! You! Er...You can't! Bloodywell can and bloodywell am I told him. And what's more I am not paying for the transit time. Mindful that his signature was in the tech log I told him that there's enough runway to stop on there if you tell me there's enough here so it must be OK. But I'm not doing more than one landing in this thing. He very crossly went and made the call. Pumping the brakes as the engines started we set off for Lydd. I wasn't taking any chances and told Lydd we had a partial brake failure - partly to cover my own arse and partly to let this idiot and his boss's dirty laundry hang out in public. He was furious. "What the **** did you do that for?" he cried as the red wagons rolled out ahead of us. We did stop, a long way down the runway and took the spare a/c back to LFAT whre we completed the twin rating, but not before noticing that the AI on this aircraft was showing a flag though appaently working OK. The other one had had a u/s turn and bank. .Why does one continue in such circumstances when it's clearly time to walk? The inconvenience of losing a booking and waiting 6 months before I had enough leave to do the IR somewhere else? Probably. Monday morning, the CFI briefed me for a first Seneca IR training sortie and outside we went. To find a u/s T&B. I called foul. After some time they said they'd got someone to fix it at Headcorn where one of their singles was also waiting to be returned to Lydd, we'd do an hour's IR training en route to Headcorn and return in the single. Apparently the t&b wasn't really necessary for the early lessons. I flew around Kent for an hour getting the hang of things (I wasn't used to T&Bs anyway, being ex helo so in reality it's absence wasn't important at the time). Time for a descnt through cloud to Headcorn. The CFI explained that they had a procedure using the VOR and DME to acheive this and talked me through it. I felt uncomfortable but again assumed the chief Instructor must be of a different metal from the weekend's boy-wonder and evidenty this was how the f/w world did things. Well, we broke cloud about 800ft agl over the hills quite close to Canterbury, nowhere near Headcorn. Even the CFI looked a bit shaken. Me, I was in a cold sweat. I don't recall if we did fly the single back, I've an idea it wasn't ready and we had to be fetched by car. On return they insisted I wrote a cheque for the balance of the B rating (it was half in advance, half on completion, something like that) and the first hour's IR training and went off with the papework to the Belgrano to get the B rating established on my licence and had time to think in the car. They hadn't even credited me with the wasted transit time arguing it was still valid twin-training time! By the time I left Gatwick I had it clear in my mind. Clearly some fixed-wing operated to a completely different standard to what I was used to and I was going to have to find a proper training organisation no matter what the inconvenience. 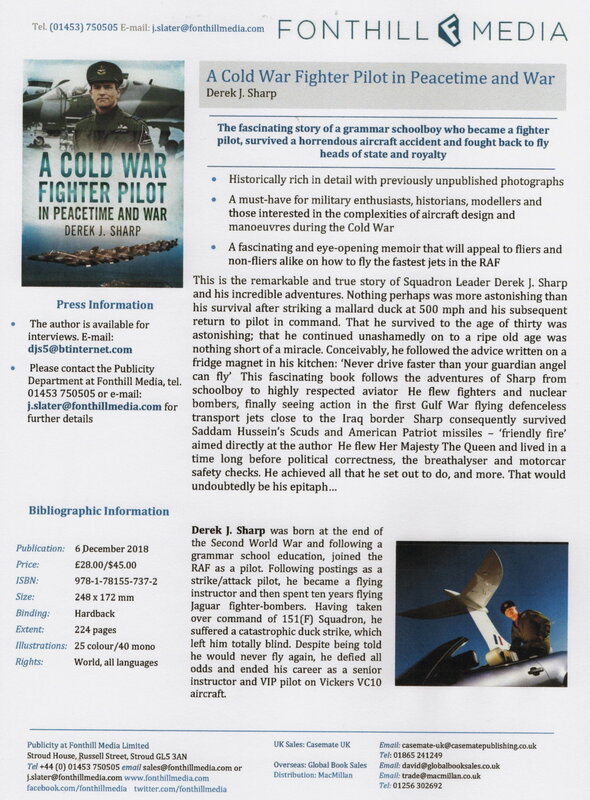 In view of what had happened over those three days I wrote a letter to the CFI describing my experience and informed him that if I heard the least quibble from him I'd immediately post a copy to the CAA and by the way, don't bother to cash that cheque, it's been stopped. Of course I did discover that not all f/w training worked like that, the next one (Bristol Flight Centre) was exemplary. But I did wonder if my first (scheduled, G registered) airline wasn't run by the refugees from that dreadful outfit at Lydd which thankfully closed down soon after my time there. I had to walk from that job after 3 months. But that's quite another story. Last edited by meleagertoo; 10th Mar 2019 at 12:57. I got absolutely whacked by the wake from a Dash-8 the other day. On finals I was asked to orbit to let him pass, which I did, I carefully maintained altitude and came back behind and above him, reasonably close but not worried as he was going 2x my speed and was by then well below me. Knowing that wake descends at something like 300' per minute (correct ?) I was quite sure that I could not meet the wake from an aircraft below me. Pretty dumb really, of course he was descending faster than his wake! So I learned that it is perfectly possible for an aircraft's wake to be above it, if it is descending!! I don't recall the books mentioning that. Lesson learned, bigger orbit next time. This video shows what you have got. My book is just published and is full of "I learnt about flying from that' Will I ever learn? Lots of GA disasters. PM me if you want a signed copy: [email protected]. A friend of mine is an instructor in the lakes east of Vancouver. He has been mountain and lake flying for many years. However that did not stop him losing the skin of his left hand from a Volmer Sportsman recently. The engine is located above the flying deck with the prop conveniently positioned to rip your hand off. I had just started learning to fly, and I was hanging out at the club bar talking to some old club members. One of them recalled the time he was in a Victa Air Tourer doing circuits. He'd only recently started training for his aerobatic rating, and was just doing some currency flying. On his second circuit he'd been instructed to orbit downwind while a 737 took off. He completed his orbit and was cleared to touch and go. Everything went well up till he was about 450 feet on the climb out when the plane hit wake turbulence that snap rolled the aircraft 90 degrees to the left. He had the presence of mind to push the stick hard left to continue the roll and he ended right way up and wings level at about 150 feet. He swears that had he applied right stick he would have died. I wasn't in a position to argue the point then, and I'm not today. Sadly that pilot succumbed to cancer a few years ago, a really top bloke and superb raconteur.